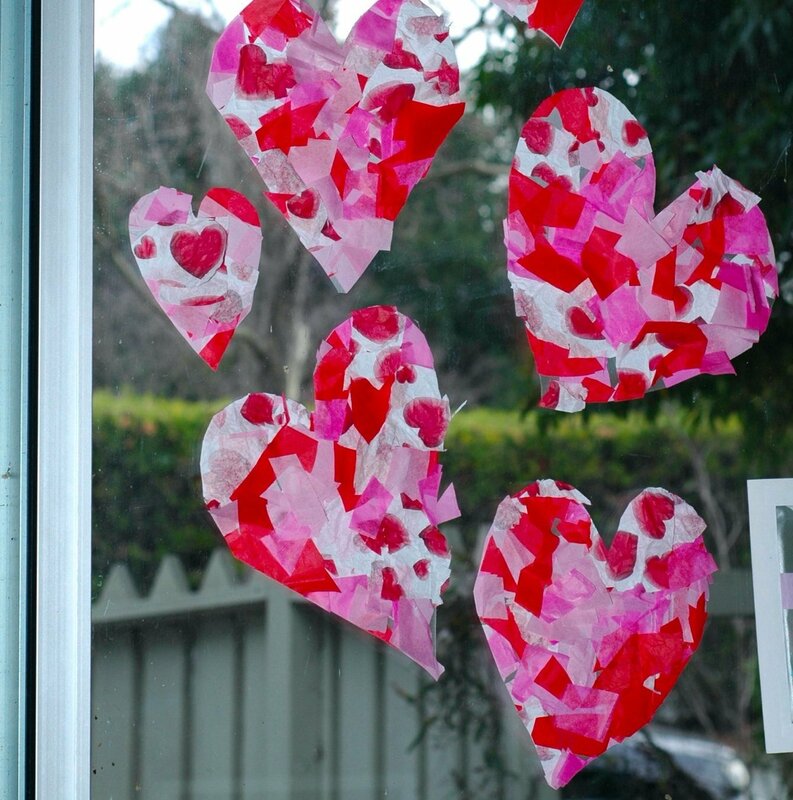 For our Valentine's project, we made stained glass hearts over at Kiwi Crate by using two ingredients - tissue paper and contact paper. Easy and fun! 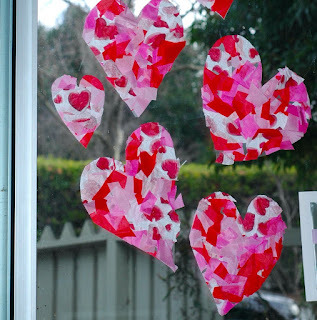 And if you don't want to bother cutting your tissue paper scraps, turns out ripping them up (a good one for motor skills) works well and looks equally as beautiful. We also had a super fun play date and made a "Love Hut" with the kids today. I think play dates are just as much for the parents as the kids. Hopefully, I'll write about our Love Hut soon.